Regulations Update - 2014 Customer Right To Cancel update information and sample forms. 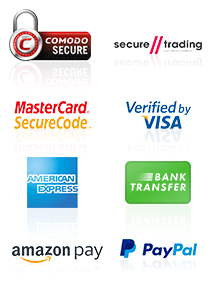 We accept the following forms or payment VISA, Mastercard, Maestro, Delta, American Express, Solo, VISA Electron, PayPal, Amazon Pay and Bank Transfer. Paying with Amazon pay allows you use the address and payment details already saved on your Amazon Account to quickly and safely pay for your order. Please note it is not possible for us to ship orders to Amazon lockers. Please note Finance Offers cannot be applied to Amazon orders or in conjunction with voucher codes. Please note if payment is made by American Express we must deliver your order to the registered cardholders address. Express Checkout - by opting to make use of the GAK Express Checkout account holding customers will see their default Delivery and Billing addresses stored in their GAK Account and their credit card payment details will be stored by our payment provider Secure Trading Ltd. When returning to make another purchase on the GAK website they will passed through the Express Checkout using the default delivery address and default card payment details. We at GAK do not store the complete payment card details, we only pass a 'token' or transaction ID to Secure Trading so they can complete the payment. This removes the need for re-entering payment card details. In stock items ordered before 3pm for UK Mainland will be delivered Next Working Day where possible, international deliveries under 30kg may take 3-4 days for delivery but where items are over 31kg or outside size limits delivery may take an extra 3-4 working days. Large and heavy items may incur additional delivery charges. Yamaha Clavinova Digital Pianos require our premium delivery service and we will contact you to arrange the type of delivery you require and quote on the charges for this. Orders placed using V12 Finance have to be delivered to the address where the finance agreement has been accepted and approved to - the delivery address for finance orders cannot be changed. The charge for delivery will be shown at the final checkout stage before final submission for all orders Excluding Yamaha Clavinova Digital Pianos. Unfortunately GAK cannot guarantee delivery times or dates. The delivery charge shown is a standard charge and does not constitute a guarantee of delivery date from the time you have placed an order. Unfortunately GAK can in no circumstances therefore compensate for delayed orders. DAMAGES/SHORTAGES MUST BE NOTIFIED WITHIN 24 HOURS OF DELIVERY - GAK CANNOT BE HELD RESPONSIBLE FOR TRANSIT DAMAGE IF REPORTED AFTER 24 HOURS OF DELIVERY. When you place an order to purchase a product from GAK.co.uk, we will send you an e-mail confirming receipt of your order and containing the details of your order. Your order represents an offer to us to purchase a product which is accepted by us when we send e-mail confirmation to you that we've dispatched that product to you (the "Dispatch Confirmation E-mail"). That acceptance will be complete at the time we send the Dispatch Confirmation E-mail to you. Government funded organisations and institutions may apply for credit facilities by sending a completed official purchase order outlining product details, pricing and contact information for the finance department. Failure to do so may result in delays to order processing and delivery. Privately funded organisations and institutions may apply for credit facilities by completing a credit account application available upon request ([email protected]). Any order from a business, organisation or institution without credit facilities must be paid for in advance and in full before any goods can be dispatched. Account terms (for businesses, organisations and institutions): Payment in full must be received within 30 days from date of invoice. Failure to pay within the 30 day period will result in a daily interest charge of 5% above the interest base rate. GAK invoice references must be clearly identified in all correspondence, payments (BACs) and remittances. Items remain the property of GAK until all related invoices are settled in full. This does not affect you statutory rights. Free gifts advertised on the website are applicable to web orders only and cannot be honoured for discounted education sales (including student and teacher purchases). For non-account sales, we can only deliver goods to the same address to which the credit/debit card used to pay for the goods is registered, except in cases where the payment has been made by cheque, postal order or bankers draft and the funds have cleared fully against our account. Cancellation requests must be sent to [email protected] with the order reference in the subject field header. Any transportation costs for cancelled orders must be paid be paid by the purchaser, except in instances where the goods supplied are faulty, have been supplied in error or miss-described by the seller. We can arrange collection of a cancelled order on behalf of the purchaser, a collection charge will be confirmed when the collection is arranged. Please email [email protected] for clarification on our Terms & Conditions. Please see the link at the top of this page 'Right To Cancel' with regards to your current rights when returning non-faulty goods within 14 days of delivery. Custom/bespoke orders and special order items cannot be cancelled. Cancellation requests must be sent to [email protected] with the 'GW' order reference in the subject field header and the word 'cancel'. 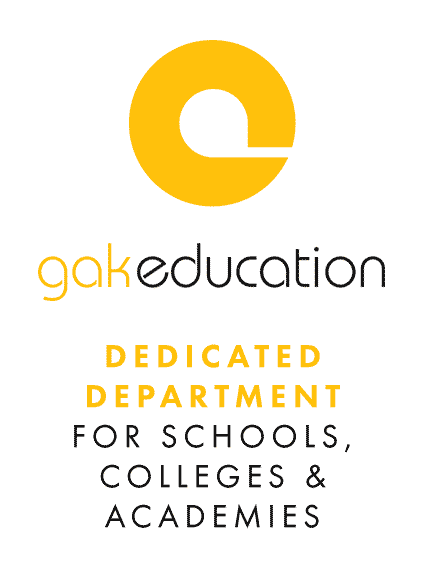 Please paste this link into your browser (or click the link at the top of this page) - http://www.gak.co.uk/en/customer-cancellation - for further information on your Right To Cancel and to access our PDF cancellation from. In accordance with the Consumer Rights Directive 2014, most goods can be returned for any reason within 14 days for a refund, including standard delivery cost. Returned goods must be in their original condition and should have their original packaging. We recommend that when arranging delivery back to us that you make sure your goods are insured to their full value whilst in transit. Refunds can only be made by the method originally used to pay for the goods. Credit/debit card refunds will be processed immediately, once we have received the goods back and inspected them. It can take upto, but no longer than, 14 days for the funds to show on the customer's account. The customer has a duty to take reasonable care of the products while in their possession and during the cancellation period to maintain them in the condition in which they were supplied by GAK. If goods are damaged or use of the goods has gone beyond the right to reasonably inspect and assess the goods, we reserve the right to seek recompense. The customer has a duty to re-package any returned goods in such away as to avoid any damage to the goods whilst in transit back to GAK (ideally all the original packaging should be used). If the original packaging is not used the goods must be packaged in such a way that provides the same or equal protection as the original packaging. If this duty to pack the returned goods in an appropriate manner is not met GAK reserve the right to return the goods to the customer or to seek recompense. Refunds will be offered within 7 days of purchase. A credit note of exchange will be offered within 30 days of purchase. Goods must be returned in their original condition. NB: Software must be unopened. This policy does not apply to special order goods. All new items are covered by a manufacturer's minimum 1-year return to base warranty. Any returns outside of these criteria may be refused or subject to a re-stocking fee. Faulty Goods: Within 30 days of the date of delivery, faulty goods will be replaced or refunded. Outside of 30 days from the date of delivery, faulty goods will be repaired by the manufacturer, under the terms of manufacturer's warranty. This policy is invalidated if the goods have been altered in any way from their original condition, or if the fault is due to misuse by the purchaser. Please note that custom/bespoke orders are not covered by the Consumer Rights Directive 2014. A non-refundable deposit will be required on placing a custom made or bespoke item on order. After full payment is taken and the item is shipped a refund/exchange or customer credit can only be offered if the item has a manufacturing fault or if transit damage has been reported and confirmed. GAK is obliged under these regulations to offer our customers free take-back of their WEEE on a like-for-like basis when they buy a new Electrical or Electronic product from us. For example, if a customer bought a new electric guitar from us we would accept their old electric guitar and prevent it going into a landfill site by disposing of it safely. Customers must return their WEEE item to us within 28 days of purchasing their new item. For further information concerning sales of this nature please refer to our FAQ page of the website. GAK Gift Vouchers may only be redeemed toward the purchase of eligible products on www.GAK.co.uk. Purchases are deducted from the redeemer’s Gift Voucher balance. Any unused Gift Voucher balance will be placed on the redeemer’s Gift Vouchers code. If a purchase exceeds the redeemer’s Gift Voucher balance, the remaining amount must be paid with another payment method. GAK (“we”, “us”, and “our”) may provide Gift Voucher purchasers with information about the redemption status of Gift Vouchers that they purchase. No fees apply to Gift Vouchers. Gift Vouchers can be purchased online, in-store and over the phone. Gift Vouchers can be redeemed online, in-store and over the phone. The GAK Terms & Conditions apply. Gift Vouchers are issued solely by www.GAK.co.uk. Gift Vouchers, including any unused Gift Voucher balances are valid for 4 months from point of sale. Gift Voucher cannot be used to purchase other Gift Vouchers. You cannot use a Gift Voucher as payment towards any finance order. Gift Vouchers cannot be reloaded, resold, transferred for value or redeemed for cash. The risk of loss and title for Gift Vouchers pass to the purchaser upon the sale of the Gift Voucher to the purchaser. We are not responsible if any Gift Voucher is lost, stolen, destroyed or used without your permission.